He is baffled a dedicated garda unit has not been set up to prosecute fraudsters, and called on insurers to publicly commit to reducing premiums if award levels do come down. 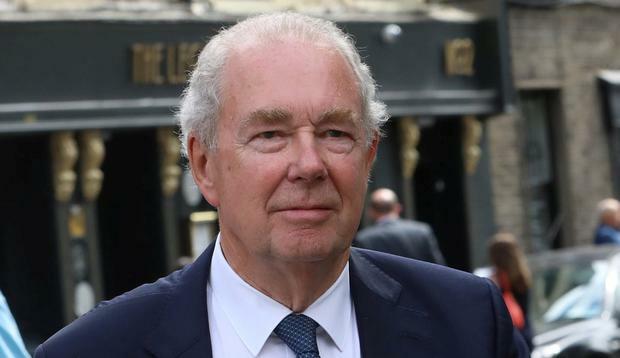 Mr Justice Kearns headed up the Personal Injuries Commission which found that awards for minor injuries in this country are almost five times those paid in England. “It is staggering,” he said of award levels, in a hard-hitting speech which also criticised lawyers. The Personal Injuries Commission report recommended that a once a Judicial Council is legally set up the judges on it provide guidelines on the appropriate levels of damages for personal injuries cases. But the legislation, which was on the way “for ever”, could be an other two years before it becomes law, he said, referring to recent comments from Junior Minister with responsibility for insurance reform Michael D’Arcy. Mr Kearns suggested a bill, aimed at capping award levels, that has passed its second stage in the Seanad, could be amended to deal with soft tissue injuries alone. The Civil Liability (Capping of General Damages) Bill 2019, it is being promoted by Fine Gael’s Senator Tony Lawlor. He referenced a number of court judgements where awards were capped. Judges would be still fixing the amounts, up to and including the cap set by legislation. “If the alternative is that businesses continue to go under at an ever-increasing rate, throwing people out of work and diminishing Ireland’s reputation as a place where business can flourish in a post-Brexit world, then those considerations will have to be factored in to any balancing of rights and interests in any constitutional evaluation. Mr Kearns said he was “baffled” a dedicated unit within the Gardaí has yet to be set up to tackle insurance fraud. “Fraud is crime, and rampant fraud makes a mockery of our compensation system, and its legal practitioners.